The 2018 Honda CR-V returns just one year after a total redesign with a range of advanced safety features thanks to the Honda Sensing® suite, which beats Toyota Safety Sense™ in several key areas. 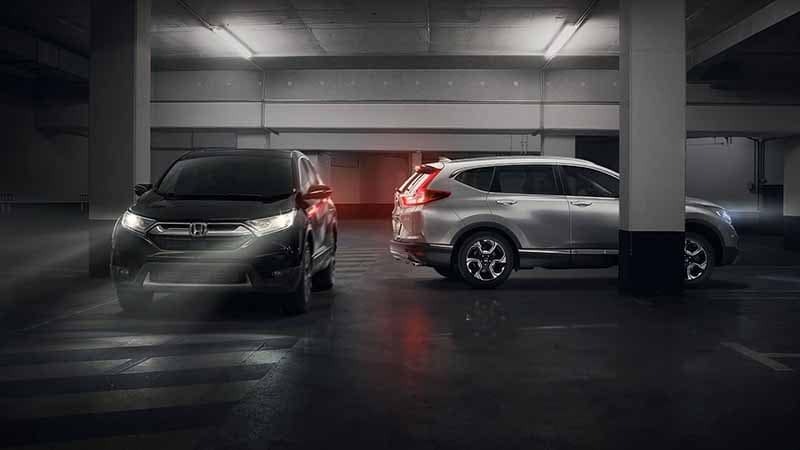 Check out the new Honda CR-V safety features up close here, and then make your way from Edison to VIP Honda in North Plainfield. This lineup of driver assistance features uses advanced sensors and warnings to help improve your understanding of what’s around you and intervene when necessary. Part of the Honda Sensing® suite, this feature is able to automatically apply the brakes to prevent or mitigate the impact of a forward collision when the driver doesn’t react in time. This system uses sensors to let you know when it’s safe to switch lanes, while the Cross Traffic Monitor lets you know if a vehicle is approaching from behind you. If you would like to get a closer look at the 2018 Honda CR-V safety features, then come to VIP Honda with the whole family and take it for a test drive. We’re open for sales Monday through Saturday starting at 9:00 a.m., and you can reach us with questions online or by phone at 908-753-1500.